The Three Stripes AKA adidas is all about making bold statements and disrupting the sneakHER scene with statement pieces. Case and point - the adidas Prophere brought out a whole new design along with the adidas Deerupt Runner. Both were meant to turn heads and add some new flavor to the Three Stripes arsenal. The Deerupt Runner took on an all over grid design that kept it futuristic and fun. If you're into coordinates or just like apparel that you can rock all year long - we found the perfect gear at a popular overseas retailer. The adidas All Over Grid Collection is all about patterns. 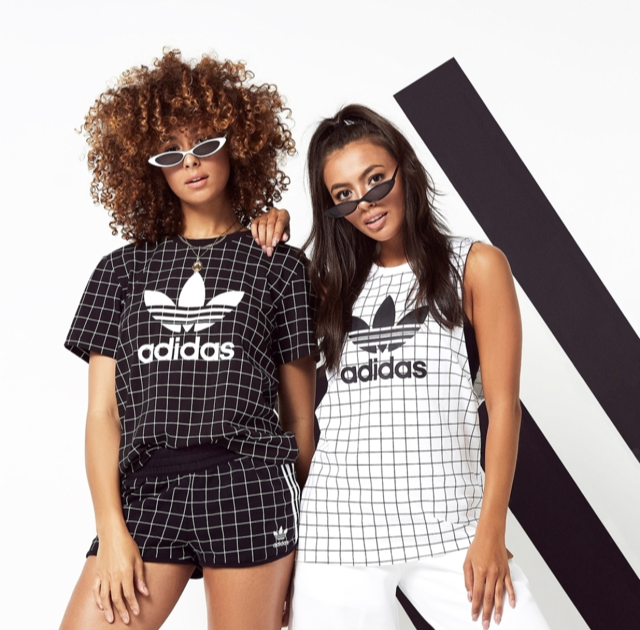 With an assortment of track jackets, cropped hoodies, tanks, shirts, leggings, and shorts - this adidas line will keep you from fitting in to the crowd. The designs stick to white and black colorways with a contrasting all over grid motif. Laced with adidas Originals 3-stripe branding and trefoil logo, the collection gives a modern edge to a classic brand. Check out some of the options below. 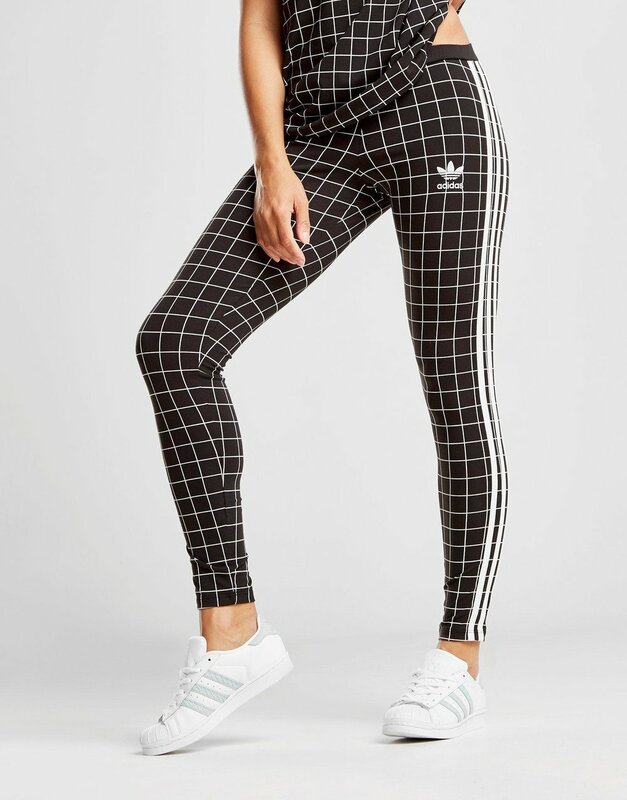 You can SHOP THE STYLE of the adidas All Over Grid Collection below ranging from about $32 USD to about $71 USD. Don't forget to take note of international shipping charges. Are you ready to be bold and beautiful? We have located a couple of pieces stateside that you can grab along with more adidas faves below (including the Deerupt). Check them out below.